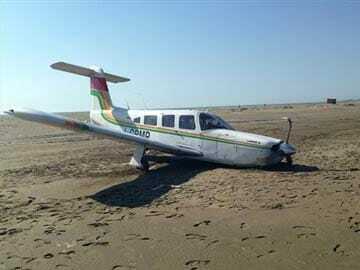 Tirana, Albania: Albanian police have detained an Italian man as a suspected drug trafficker after his small plane crash-landed on a beach. The Interior Ministry says authorities seized 460 kilograms (1,014 pounds) of cannabis in a vehicle a few hundred meters (yards) from the plane. The Piper plane, with its damaged propeller and busted tire, was found at Divjaka beach, 80 kilometers (50 miles) southwest of the capital, Tirana, an hour after it had left Tirana international airport, Interior Minister Saimir Tahiri said on Saturday. Police also arrested an Albanian trying to escape from the car with 27,000 euros ($37,000). Albania is a cannabis-producing country that also serves as a transit point for drugs coming from Asia.